See, it all started with Tokyo Xtreme Racer, a silly racing series created by a little known Japanese developer called Genki Studios. For a little under 15 years, Genki tried again and again and again to realize their vision of the perfect highway racing game set in Tokyo. Tokyo Extreme Racer Zero was one of their better efforts and it just so happened to be a game that my friends and I got very into in college. Tokyo Xtreme Racer Zero was released for PS2 in 2001, the same year I graduated from high school. However it was far from Genki Studios' first attempt at making a highway racing game that featured high horsepower Japanese cars. The companies first attempt was called Shutokō Battle '94 Keichii Tsuchiya Drift King. Yes, that Keichii Tsuchiya. Shutoko Battle '94 was a SNES title that used Mode 7 graphics like Mario Kart or F-Zero, allowing the entire track to rotate as a flat surface. This would've been more impressive if the developers hadn't instigated a permanent split screen, making things difficult to look at. Genki stuck with this formula for a few more years, releasing a couple more SNES game and more importantly for their future, a couple of games for the Sega Saturn, dragging the series into the realm of the third dimension. In 1999 Genki released Tokyo Xtreme Racer for the Sega Dreamcast. The game featured a scale map of the Tokyo highway system, hundreds of cars to battle against and a raft of Japanese sports cars to tune up in every way possible. It was a formula that Genki would never abandon, all the way up to the PS3 Era. Tokyo Xtreme Racer Zero was essentially a PS2 port of one of TXR's sequels. It had more cars and a few more features but was basically more of the same, as video game sequels tend to be. The beauty of TXR games is that they actually make great party games, provided the group of friends in question is composed entirely of gearheads. Unlike most racing games, races last at most a couple of minutes. This created a great environment for play and pass gameplay. The icing on the cake was that the TXR series takes place in a similar universe to ours, one with similar rules and similar physics. However, the major difference is that everything ricers believe to be true, is actually true in the TXR universe. In other words, yes. That body kit will ad 20 mph to your top speed. This, to my friends and I, was endlessly entertaining. We moved on however. Graduating from college and going our separate ways. Genki did not move on. They released an inferior (in my mind) sequel dubbed confusingly Tokyo Xtreme Racer 3. And then I sort of lost track of them. I bought a PS3 and never thought about Tokyo Xtreme Racer again. Until last week when I wrote that article. And looked through my old games. And discovered a copy of Tokyo Xtreme Racer Zero. And found my old PS2. And got a call from my old college buddy saying that he would be in town this weekend. So yes. Saturday night was a drunken mess of defeating and endless string of opponents on the Japanese highway system. And you know what? it was fun. Really fun in fact. So fun that a group of us spent over four hours staring at the low res images of Supras and Skylines as they blurred their way across our friend's big screen high def TV. But fun lead to curiosity and curiosity led to research and research led me Import Tuner Challenge the last of the Shutokou Battle games Genki released in the U.S. It was for Xbox 360 and as I mentioned it did not get the best reception from the media. But what the hell do they know? Certainly not enough to keep me from buying the game in a drunken rage later that night. 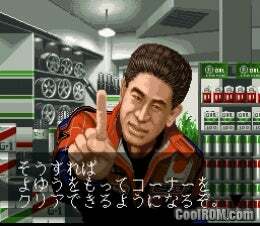 Import Tuner Challenge wasn't quite the last Shutokou Battle Game created by Genki however. They later created a Wangan Midnight game for PS3 that was never released in the U.S. The next day, the four of us that had been playing Tokyo Xtreme Racer Zero convened again to go see Godzilla. Bleary eyed and hung over, we met up and started talking about how fun the previous night had been. I didn't want admit that I had gone home that night and bought Import Tuner Challenge. But then my college friend looked at me sheepishly and opened his mouth "after you left last night I bought Wangan Midnight for PS3 off the internet." Change and innovation are all well and good, but sometimes, every now and then its better when things stay exactly and comfortably the same as they always were.